Over the past year the tech world has gone crazy over the hype of wearable smart glasses, including the likes of Google Glass and the Vuzix M100. The latest piece of smartwear technology is again a product which can display information before your eyes, however this comes with a unique twist. 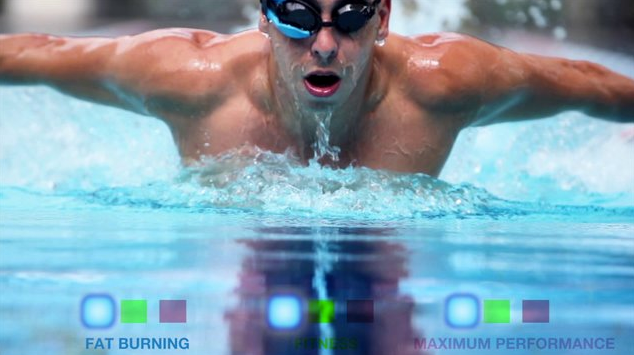 Instabeat is a head-up display unit which attaches to your swimming goggles and monitors a variety of attributes during your workout. The piece of eyewear informs the user of their heart rate, calories and laps completed. The Instabeat really fills a gap in the market for swimmers, who have seen countless products hit the market for people who run and take part in other activities. Although some of these trackers are accessible for swimmers, they are not built for the sport specifically and therefore they do not always live up to standards. Instabeat has recently finished a round of crowd funding via the site Indiegogo, from which they raised $56,000 – $21,000 more than their projected goal – and are now just waiting on a shipping date.